Trailblazer Deluxe, Steel String Guitar from Johnson Guitars. Johnson presents the solid spruce top Trailblazer Deluxe travel guitar. The Trailblazer Deluxe is designed to "give players the same comfort and playability as a full-size dreadnought, but in a travel-friendly package." With 22 frets and a rosewood fretboard, the Trailblazer Deluxe has mahogany sides and arched mahogany back. The Johnson Trailblazer Deluxe comes with its carrying bag. 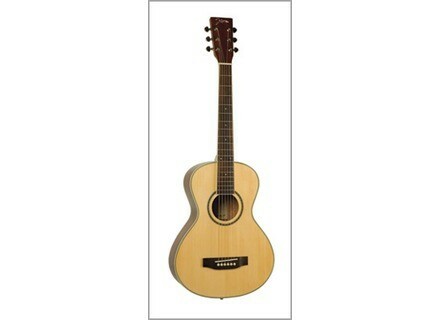 No pricing info, but for more information, you can visit their web site at www.johnsongtr.com/guitars.html. De Gier: New Reflection Model De Gier have been working on a new breed of our Reflection: The first of two is finished.